Everyone knows sales requires getting rapport and getting it fast. Do you want to be the person who has to stick your foot in the door to prevent it from being slammed or do you want to be welcomed like a vip guest? As a sales keynote speaker John Livesay has helped hundreds of businesses and organizations master the techniques that close sales and help the bottom line. It is much like dating. You can’t push yourself on people. Invisible or insignificant? When it comes to dating, what’s worse? I’ll be the first to say they are both equally brutal blows to the ego. Emails, elevator pitches and ads follow suit. A bold headline on a snazzy billboard proclaims to the world how great a product is; a marketing email promises a discount on a service or item. But if these messages are irrelevant to the consumer (let alone lost in a sea of clutter), they are insignificant – which means they’ll never even have a shot at being interesting. Approaching a sought-after client with information relevant to his or her current situation will suddenly move you up one rung from invisible to significant. As a sales keynote speaker I find that the best tactic for determining what information will be relevant to them is to start developing dynamic relationships through compassion and building rapport. Building rapport begins by asking the right open-ended questions so you can really understand what a client’s needs are. Once you have this knowledge, you can then explain the problem back to them before you even start presenting. This transcends the huge difference between just talking about features and saying, "what this means to you is..." That one phrase makes all the difference as it makes the presentation about them not you selling. For example, if I'm selling you a car and the car has windows that are very thick, that's a feature. But, if I tell you the car's windows “are so thick that you can turn the stereo up and none of the outside noise comes in; you'll feel like you're in a concert hall which means you will enjoy your music much better in this car than another one,” I am selling your experience of the feature and what it means to you. Anytime you can talk about a feature and automatically say, "and what this means to you is..." people lean in, "oh, this is something for me?" Because we're all tuned to the “what's in it for me?” station. If you literally say, “what this means to you is…,” people pay more attention. Tapping into the premise of improvisational comedy (improv) is another tool you can use here. If you are not familiar with this form of stand-up comedy, the key to improv is not shutting down any ideas an audience member throws out by saying “no” or “that won’t work.” Instead, improv fosters a culture of "YES, and…” This concept also follows my strategy of dealing with objections; you acknowledge the objection and then provide reasons why others felt that way at first too and then found XYZ was worth doing (more on this in Chapter 5). As the hired sales keynote speaker, I participated in an improv workshop after my keynote for Anthem insurance to teach their sales team different ways to move out of the invisible phase. There were 3 groups of 5 people recreating a typical sales call with a doctor. The audience of 300 would shout out objections for the doctor to give and the people playing an Anthem representative would respond as if they were on an improv stage. Once the team practiced hearing the objections and thinking on their feet using the “YES and” philosophy of improv, they went back to work with a new-found confidence that nothing anyone said to them would cause them to give up. Eventually, you can learn to be your own Pitch Whisperer™ and dig deep to find the confidence and words to handle any situation. Helping people to succeed is what makes being a sales keynote speaker so rewarding. Another secret to building rapport is empathy. We talked about the first steps to building trust with eye contact and credibility. Once people feel like okay, this person is safe, then their decision-making moves from the gut to the heart. Do I like you? If I am going to work with you, will this be a pleasant experience or not, and the best way to up your likability factor is through empathy, not sympathy, empathy. What empathy looks like is: Imagine you are going into pitch, and it’s in someone's office. You enter the waiting area and see the receptionist fielding multiple people already, a FedEx guy, two other reps and, of course, the phones are ringing. Now you enter for your meeting, adding one more piece to his already full plate. There are several ways to handle this situation and when I am hired as a sales keynote speaker I go over each on in detail. Here is a sneak peek:. You could be rude, and say, "hey, I’ve got a 2 O’clock." Or, "hey, I'm sorry to bother you, but I have a 2 O’clock whenever you can." That's better than rude, but it's not empathy. Then there is the empathic approach which looks and sounds something like, "wow, you must feel like an air traffic controller today. Whenever you have a second, let me know." "Oh, thanks. Yeah, I do feel like an air traffic controller," he thinks. You go in, you give your presentation. The client walks you out to the elevator, past the receptionist desk and you say goodbye. The client then says to the receptionist, "so, is that the last one?" He says, "yeah. But I really like that last guy you just met with." Empathy. Putting yourself in the client's shoes. Remember when I said, the more you understand what their problems are, the better they think you have the solution? That's another benefit of empathy. It moves from the gut; do I trust you? To the heart, do I like you? To the head. This is the unspoken question that everyone has when you're talking about what your company can do for them. "Will this work for me? All this stuff you're telling me sounds good, but will it work for me?" If a prospect can't visualize themselves using a product or having the same experience your case study had, then they are still going to say no. But, if you tell them story about a client, very similar to who they are, and they can see themselves in the story going on that same journey that that other person does. Then after they trust and like you, they know you're going to do the same thing for them. If your sales team feels pushy and wants to learn new ways to drive revenue, then a sales keynote speaker with John’s proven track record is the answer. 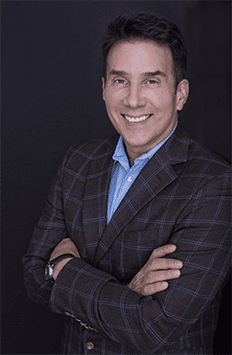 John Livesay is a top rated marketing keynote speaker that gets people to go from confusing clients to giving them clarity, from boring to inspiring and from stumbling to soaring. If you want your team to become Revenue Rock Stars, then John can show you a proven roadmap to get there.